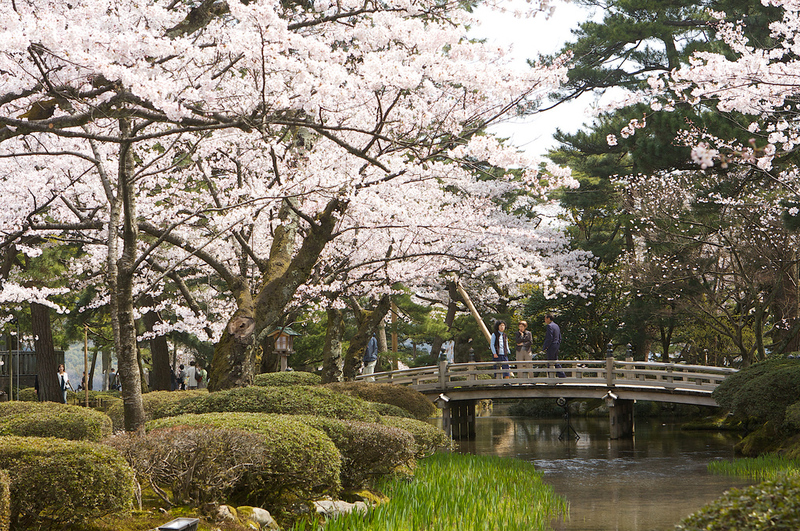 Kanazawa, with its fantastic gardens and green spaces, is a great place to enjoy Japan’s famous cherry blossoms. Here are the best spots and information on when the cherries bloom. In a hurry? Scroll down to our list of Kanazawa’s best cherry blossom spots. 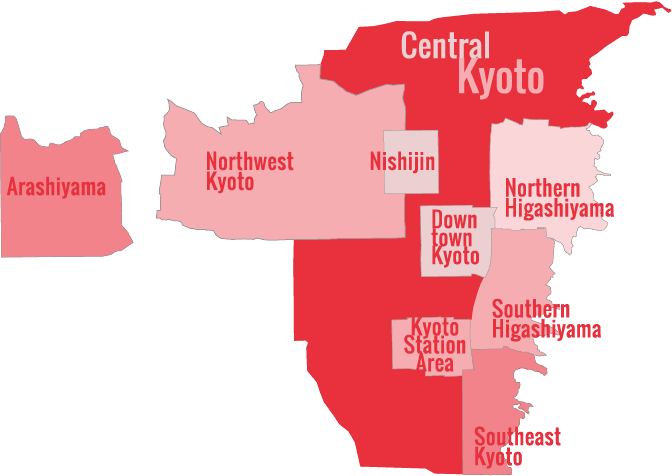 For information on the timing of cherry blossom season in Kanazawa, read the following section first. When is cherry blossom season in Kanazawa? In Kanazawa, the cherry blossoms (sakura) usually bloom in the last week of March and the first two weeks of April (roughly between 20 March and 14 April). 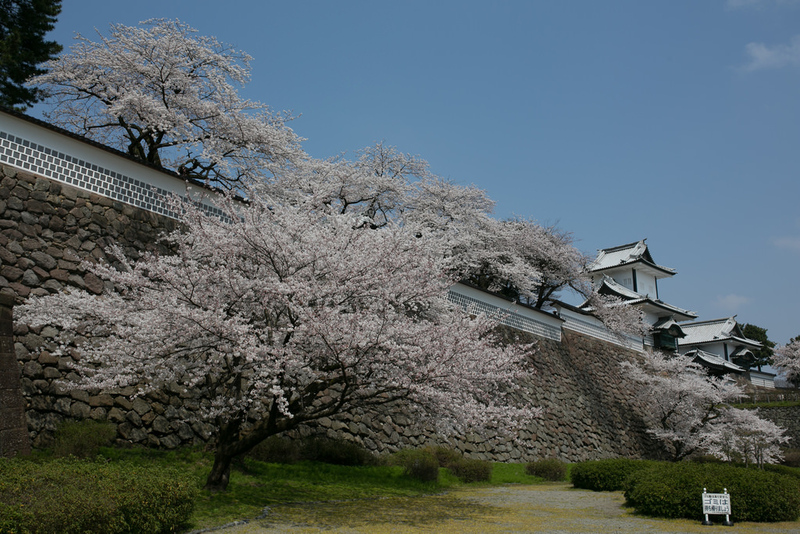 In an average year, the blooms peak on 1 April in Kanazawa. Once they bloom, the blossoms are notoriously fickle: sometimes almost all the trees will come into full bloom (mankai) at the same time and stay in full bloom for a week or even longer. Here is our list of the best cherry blossom spots in Kanazawa. For more details on these places, visit our Things To Do in Kanazawa page. Kazuemachi Geisha Street: Just across the river from the famous Higashi Chaya area, this former geisha district has a wonderful arcade of cherry trees. A stroll here in the evening, along the banks of the Asano-gawa River, would be the perfect way to end the day in Kanazawa. Ishikawa-mon Gate, Kanazawa Castle Park: A view of the cherry trees here, with Ishikawa-mon Gate in the background, is almost too picturesque. Sakuragaoka Hill, Kenroku-en Garden: The cherry trees form a tunnel of blossoms here in springtime. It’s not to be missed. Edomachi-dori Street in front of Kenroku-en Garden: An evening walk along this lantern-lit street full of happy people is sure to make you feel happy, too. Kenjyo-tei restaurant, in front of Kenroku-en Garden: The view from a window-side table on the second floor of this restaurant is gorgeous, even on a rainy cold day. If you have extra time: Noto Kajima Station, Noto Line: Known to locals as “Sakura Station,” the tunnel of cherry blossoms here is magical. The view of Nanao Bay from this station is also recommended.